Fordham University Press, 9780823253913, 302pp. 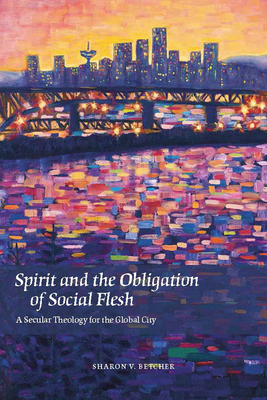 Drawing on philosophical reflection, spiritual and religious values, and somatic practice, Spirit and the Obligation of Social Flesh offers guidance for moving amidst the affective dynamics that animate the streets of the global cities now amassing around our planet. Here theology turns decidedly secular. In urban medieval Europe, seculars were uncloistered persons who carried their spiritual passion and sense of an obligated life into daily circumambulations of the city. Seculars lived in the city, on behalf of the city, but--contrary to the new profit economy of the time--with a different locus of value: spirit. Betcher argues that for seculars today the possibility of a devoted life, the practice of felicity in history, still remains. Spirit now names a necessary "prosthesis," a locus for regenerating the elemental commons of our interdependent flesh and thus for cultivating spacious and fearless empathy, forbearance, and generosity. Her theological poetics, though based in Christianity, are frequently in conversation with other religions resident in our postcolonial cities. Sharon V. Betcher now an Independent Scholar, was Professor of Theology at the Vancouver School of Theology.